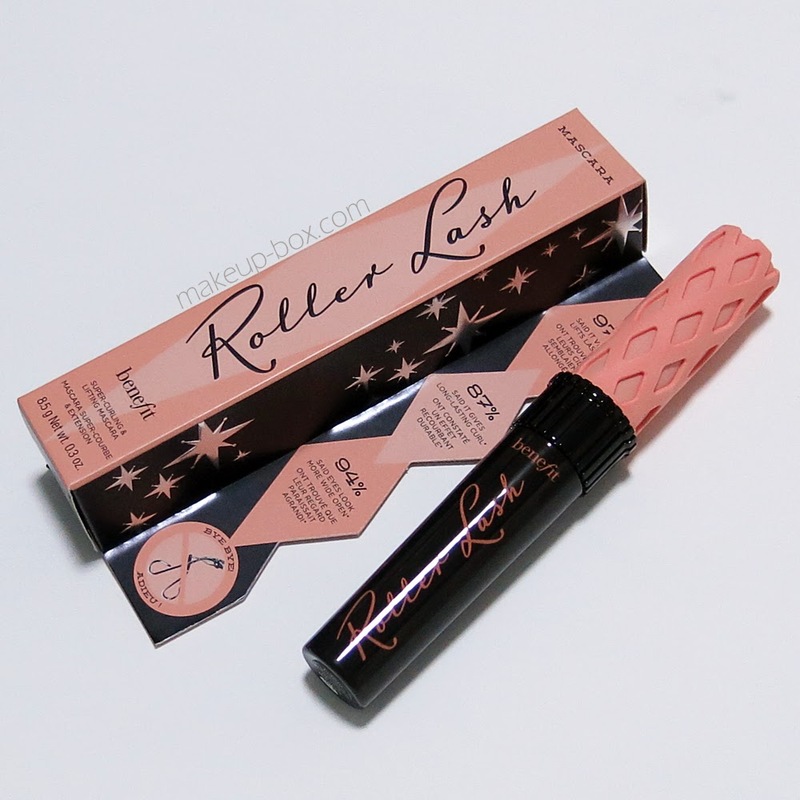 Benefit Cosmetics' latest mascara offering is Roller Lash, a curling and lifting mascara designed for those who would like to bypass lash curlers in their daily routine. It does this with a specially-designed curved "Hook n Roll" rubber brush which catches, grips and coats every lash. The formula is also designed to set and hold curl better than traditional formulas. I've used this for a few weeks straight now, so I'll tell you what I think about its performance and what it's good and not so good at, regardless of the marketing claims. First, the main thing I noticed about it was that it did grip a lot of lashes and did a great job of extending and thickening them. You can build it up to quite a good length, and also build up for quite a lot of dramatic volume. In these regards, it's quite similar to They're Real Mascara, except this formula sets a bit stiffer, so it does hold curl longer, and the curved brush and shorter bristled sides make it easier to control along the lower lashes. This mascara also does stay on pretty well. There's nothing on the tube or box which says this is waterproof, but in my experience it hasn't smeared or run when wet, and it does take a bit of massaging with an oil-based remover to get it all off. Where I am not too sure about the claims is the curling bit. The main factor that decides whether someone's lashes curl easily by using mascara is how fine the lash strands are. 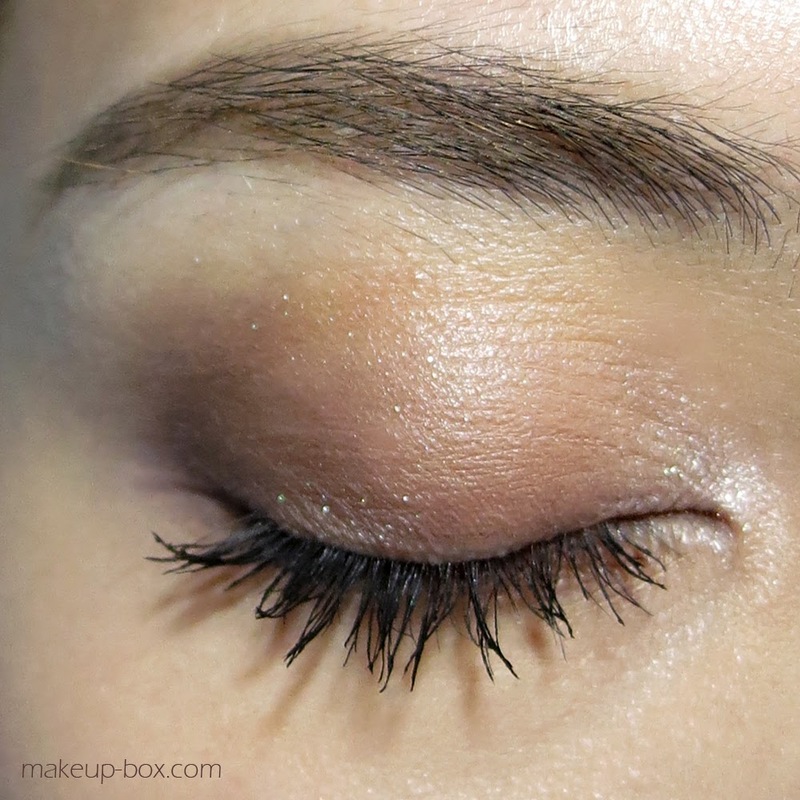 If you have medium-fine lash strands like me, they tend to curl and stay curled easily. 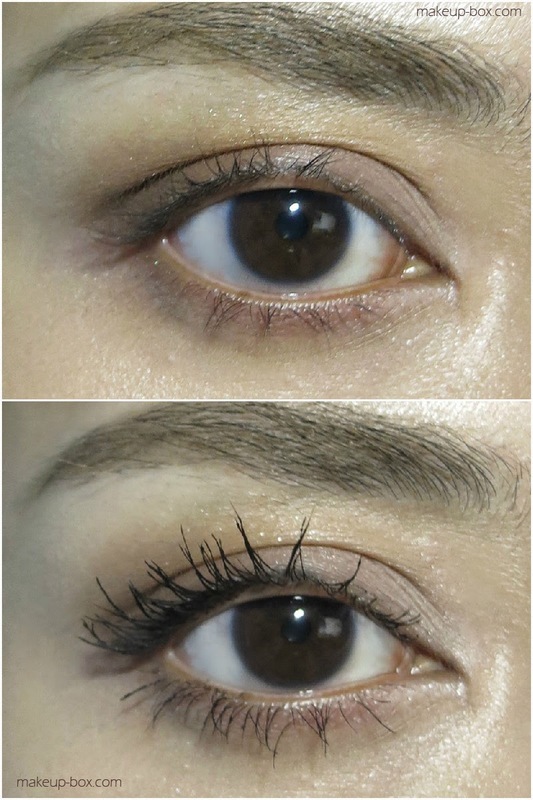 For those with coarser lashes, it's much harder to curl in directions that are not natural to you,. no matter what you use. Roller Lash does extend lashes and lift them slightly, but it can't really bend your lashes backwards and create much of a curl where there isn't one. If you have short down-ward pointing coarser lashes, this will function about the same as any other typical waterproof mascara. I would still recommend that you curl your lashes before using this if you need to maximize the lifting effect. Another thing is this does have a bit more of a tendency to make some of your lashes clump together. Not exceedingly bad clumping. But you might get a few strands bunching together into a cluster here and there. Some people actually like that effect because it's a much more dramatic look, so it might not be too much of a problem for everyone. My personal preference is for very fine tapered lash tips and a "fluttery" look (my favorite Benefit mascara is still Badgal Lash after all these years). I do really like the formula and the visibly lengthening/thickening effect this gives with a single coat, and it does lift and hold curl well on medium to fine lashes. It's also great for girls who want moderately dramatic lashes. 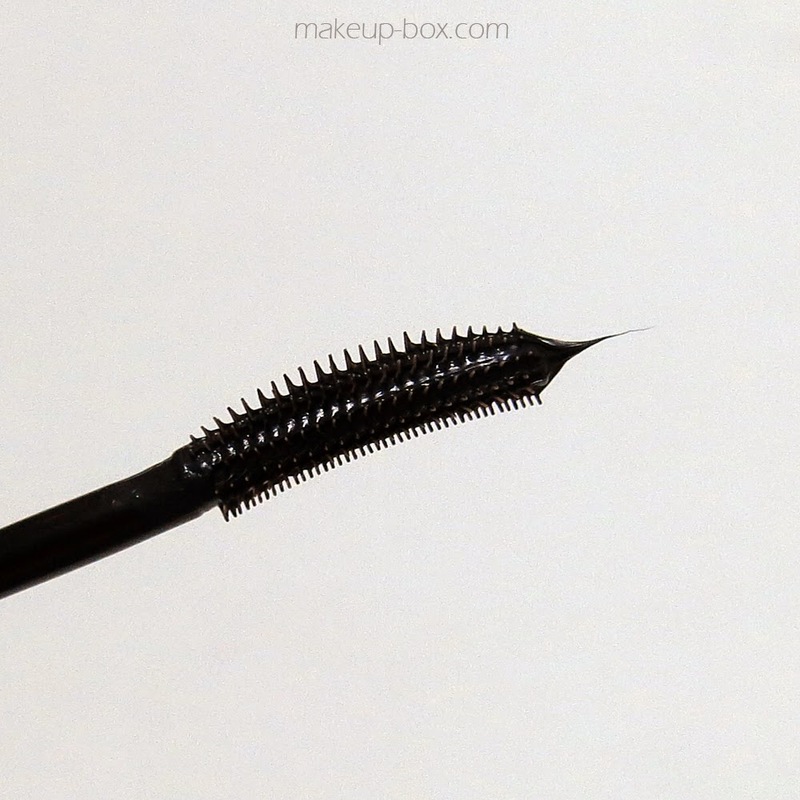 But using the curved brush on its own can only lift, and won't really curl, your lashes that much because a crimping/folding action (something needs to press down from the top to bend the lashes upwards) is necessary to force your lashes to really bend noticeably, and no mascara wand I know can do that. But that aside, it's actually really good at gripping and coating all your tiny lashes, so it does maximize whatever you do have. All in all, I would say its worth checking out because it really enhances your lashes and adds quite a lot of length and volume. If you want a subtle, natural-looking look, this wouldn't be the best mascara. And I wouldn't get it just because you're hoping that a mascara will be able to curl stubborn straight lashes on its own without a separate curler. Hang on to your lash curlers. good thus you perform not really include any uncertainty about I got this guide check out our Google android Apps for Computer and Clash Royale on Windows PC nice. good Snapchat is usually a very well-known picture posting software. http://snapchatupdate.com developers are always adding cool new features to it. nice. good and the users mailing them or showing it can identify this. i found it here you will will need to abide by these guidelines nice. good Perform you like to perform video games on your Droid4x Offline Installer The online installer uses internet interconnection each period and nice. good the application name is definitely cinema box.the recommendations to obtain the Download HD films and shows on your android or IOS intelligent mobile phones. Cinema box for PC The picture quality is definitely likewise great for observing the movies Cinema Box nice. good make use of Mobdro in the iphone . download mobdro delighting in video clips and also motion pictures in Mobdro nice. good remarkable attributes of this incredible application shareit for pc contact checklists, and messages. It's possible for nice. both upgraded as well as the previous variation. aptoide installer app You will certainly obtain an alert asking you for authorization.